Join Mickey Mouse and Minnie Mouse as your tour guides a magical globetrotting getaway as they travel to the timeless worlds of Disney’s The Lion King, The Little Mermaid, Peter Pan and the #1 animated feature film of all time, Frozen, in Disney On Ice presents Passport to Adventure! Celebrate some of the most memorable Disney tales and landscapes with all your favorite characters in one fun-filled ice production, coming to Salt Lake City from November 10th – 13th at Vivint Smart Home Arena. Mickey and Minnie will take audiences on a sightseeing adventure created for the entire family to explore the African Pride Lands with Simba, Timon and Pumbaa; voyage deep under the sea to Ariel’s mystical underwater kingdom and tour London with Peter Pan and Wendy before flying to Neverland to meet up with Tinker Bell. Plus, travel to Arendelle for an extraordinary adventure with sisters Anna and Elsa, rugged mountain man Kristoff and everyone’s favorite, huggable snowman Olaf, as they journey to discover that true love is the most magical power of all. 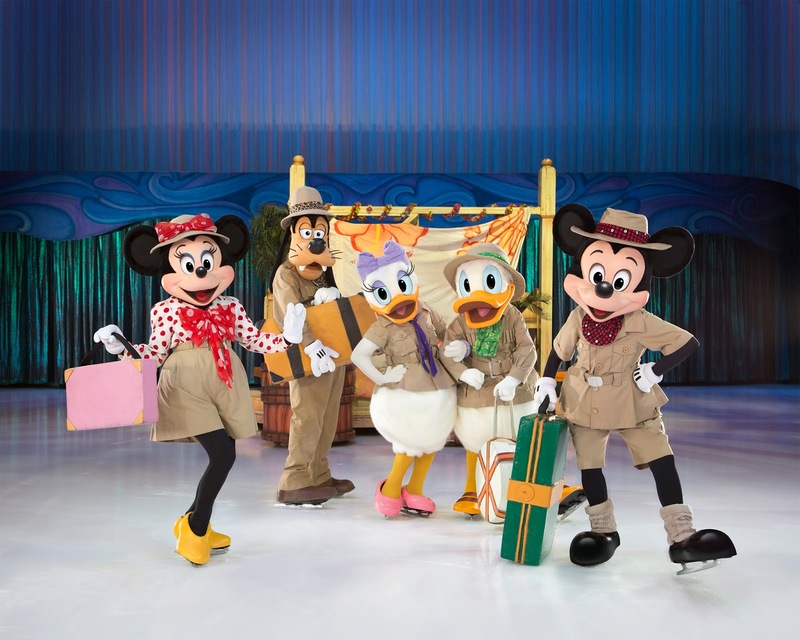 Disney On Ice presents Passport to Adventure features an international team of award-winning figure skaters, high-energy choreography and a colorful set that captures all four unique worlds. Upbeat music, lovable characters and unforgettable moments make this an experience families will cherish forever! TICKETS: Ticket prices start at just $20! All seats are reserved; tickets are available for purchase online at AXS.com, charge by phone at 800-888-TIXX or visit the Vivint Smart Home Arena Box Office. Visit http://presale.disneyonice.com for the shows and dates coming to your hometown.